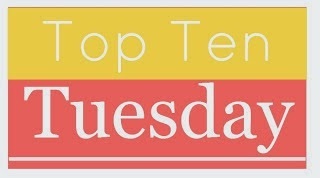 Today’s Top Ten Tuesday post is meant to be Top Ten Books I read in 2015, but thanks to school, I am only just on my tenth book of 2015, Before I Fall, I decided not to do this list as it would be pretty boring for you and for me, if I just listed all the books I’ve read this year. Instead, I’ve twisted the topic just a little and decided I would list my top ten books of 2014 instead as I have more to chose from. I read some great books in 2014, so I am quite excited to do this post! 1. Unwind by Neal Shusterman-I know what you’re all thinking, when will she stop mentioning this frickin book? Answer, never, because this book is so awesome. I could have chosen any of the four books, but I chose this one because it was the book that started this awesome series. The concept is so unique, the book is so wonderfully creepy. the characters are awesome and the story was just great. PLEASE READ THIS BOOK! You won’t regret it. 2. Cross My Heart by Carmen Reid-I really loved this book, it was one of my five star reviews of 2014. I loved the character of Nicole and the book was so gripping, I was always waiting impatiently to see what would happen next. The romance was well done and I loved learning more about the Belgian Resistance. I definitely recommend this to anyone who enjoys reading about World War Two (or anyone really, it’s a great book). 3. Dangerous Girls by Abigail Haas-This book messed with my mind, it’s so twisted. I usually hate comparisons but I would say that this is like a YA version of Gone Girl. The characters are unlikeable true, but it’s a really great read, I could not put it down and the ending……the ending is so mind blowing, one of the biggest shocks I’ve had ever when reading a book. More people need to read this book and discover it’s brilliance. 4. Gone Girl by Gillian Flynn-Speaking of Gone Girl, it was also one of my favourite reads of last year. I wasn’t so keen on the first half of the book, it went a little slowly for my liking, but then the twist happened and I was hooked! The movie of this was excellent as well. If you can push past the rather slow start, this is a great read, very mind twisting! Gillian Flynn, I have to say is excellent at writing psycho women (as I have learned from reading two out of her three books). 5. Split Second and Every Second Counts by Sophie McKenzie-I love a good action packed read and both these books deliver on that count (I’m kind of cheating here by lumping them together but I don’t care). I preferred Split Second to Every Second Counts, but they both had the fast paced, action packed writing, characteristic of Sophie McKenzie teen books and I just find her writing so addictive. I loved both of these. 6. Crown of Midnight by Sarah J Maas-In 2014, I was introduced to Throne of Glass. I wasn’t all that keen on the first book, but I had the second anyway and I was intrigued enough to persevere with the series. I’m so glad I did because this sequel was so good and got me excited about this series which after Heir of Fire has become one of my favourite new series’. 7. Hate List by Jennifer Brown-I liked that this book focused more on the aftermath of the shooting and its effects on the victims rather than the shooting itself. It’s not as good as my favourite school shooting based book, Nineteen Minutes by Jodi Picoult, but I did still really enjoy it. This book is definitely great for those who like character driven novels as the book is all about Val and her development and I really enjoyed this because Val was a well developed character. It’s a really beautiful and clever story, I would highly recommend it. 8. The Maze Runner Trilogy by James Dashner-I’m not going to say these are my favourite dystopians, they aren’t but I did enjoy them, although I think I was a little too lenient on my ratings of the second and third books, if I read them again, having thought about it, I might give them a lower rating. Still, they were fun, quick and enjoyable reads and I did like them, even if I would say I loved them. 9. Skulduggery Pleasant: Last Stand of Dead Men-I really enjoyed the penultimate book of this series, it’s one of my favourites of the series actually. It was just really exciting, the final lead up to the big battle in the last book and I was so happy to see Valkyrie finally become Darquesse (sorry spoiler alert for those who haven’t read it!). Basically this book had everything I loved about Skulduggery in one book. 10. Skulduggery Pleasant: The Dying of The Light-There were things that annoyed me about this book, but overall it was a satisfying conclusion to one of my favourite series, and I really enjoyed it, but let’s face it, it’s impossible to not enjoy a book when Skulduggery is in it. Ah, the talking, magical skeleton detective, one of my favourite fictional characters ever. I wish I had read enough books to be able to do this list for 2015, but sadly I haven’t. I’m reading Before I Fall at the moment but I’m not really getting into it, so I might pick up something else, and come back to it later. I don’t want to lose precious reading time on something I’m not getting into. Still, I hope you guys enjoyed my 2014 list! I will have another Top Ten Tuesday for you next week, the top ten hyped books I’ve never read, I’m quite excited for it as there’s a lot of hyped books I haven’t read due to the hype. Tomorrow however is Wishlist Wednesday, so make sure to check that post out. I have Dying of the Light to read yet. Looking forward to it. Gone Girl is a crazy book, well-written, but crazy. Dying of the Light is great, hope you enjoy it. Yes it’s definitely crazy, to be honest, that’s probably why I like it! Great list. I loved Crown of Midnight, too but Heir of Fire and Throne of Glass are my favorite from the series so far. I can’t wait for Queen of Shadows. I haven’t read Gone Girl but I saw the movie and I loved the plot and everything. I thought it was great so I bet the book is even better! I agree with what you said about The Maze Runner. I was lenient on my rating for Death Cure and Scorch Trials and I won’t reread just because I know I won’t like it as much haha. Heir of Fire is definitely my favourite of the series but as I was doing 2014 reads for this list, I couldn’t include it. I actually preferred Crown of Midnight to Throne of Glass, but to each their own. Yes Gone Girl is a great book, if you liked the movie then you should definitely read it. Yeah, I was definitely over-lenient on the last two Maze Runner books, but I don’t think I’ll reread them for the exact same reason as you said. Great list – I’ve been meaning to read the Maze Runner series…. Thanks! It’s a good series, I recommend it, even if my ratings for the second and third books were a bit lenient now I look back on it! I have the Throne of Glass series on my radar and am going to be reading them as part of a community read/reread starting on Monday, I am super excited! I also have all of Gillian Flynn’s novels on my TBR list, I just keep getting caught up in other books on my list. Sadly, I am not all that familiar with the other books on your list but am always looking for more reads. Great list! Yay! Hope you enjoy them! Yeah, I know the feeling, so many books, not enough time. I hope you get around to them soon. That’s okay, not everyone will be but I highly recommend them all (especially Skulduggery Pleasant, although it is a long series-9 books!, but it’s so amazing). Me too! It’s one of my favourites. Thanks! It’s brilliant. I never thought about them being underrated before, but I guess they are in the blogosphere, I don’t see many bloggers talking about them. You definitely should. Tell me about it, ever since I started blogging my TBR has become neverending! Crown of Midnight is definitely my favourite of the series! It’s incredible, it completely messes with your head! Definitely worth a read. I think Heir of Fire is my current favourite but Crown of Midnight is a close second.